Michigan homes are similar to the rest of the nation, and you may be surprised to learn that of all of the rooms within it your kitchen is one of the most important. Statistics show that more active time is spent in the kitchen then in any other room in your home. Some surveys show as high as 80 percent. Not only is it the place where you make your meals, but also a large amount of family interaction happens in this hub of your home. You want this to be a place that is functional and useful, but also pleasing. Remember that while planning to either build or remodel a kitchen there are three important things to consider. First, plan your layout. Are you going to be utilizing existing plumbing and wiring, or are you planning on redesigning the space entirely? This decision will largely depend on your budget. Keep in mind that a dream kitchen can be done in stages and Kroll has 100% financing available to help make this a realization. Just call (888) 338-6340 or click HERE for more information. With budget in mind, you secondly want to think about what is needed cosmetically. 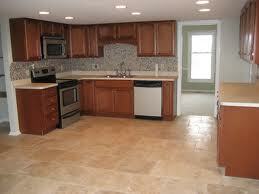 There are some elements to a kitchen that may go out of date so as to make them a danger to you and your family. Faulty wiring, plumbing or old appliances should always be a priority over cosmetic changes. Ask a Kroll Construction specialist for direction on this or other building or remolding concerns. Third, keep a measurement of your kitchen space in your wallet or purse. This will be an on going question during the construction process and with these measurements close at hand you can feel confident in your decisions when considering the sizes of appliances, counter tops, or cabinets. Remember, Kroll Construction is your Michigan kitchen remodeling expert who can help guide you through the entire process of building your dream kitchen. Call or fill out the online request form to schedule a free consultation.